Note from the mamas: If you’d like to see your Northwest Arkansas summer camps or activities featured with links and additional info in our Summer Camps & Activities Guide, let us know! Contact Gwen at mamas@nwaMotherlode.com — or call 479-409-8242 — for more information and pricing. 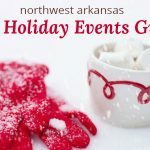 The camps below (with links and extra information) are nwaMotherlode sponsors, but we list all the camps we know about to make the Guide more helpful to Northwest Arkansas mamas. We’ll be adding camps as we receive new information, so be sure to check back often! 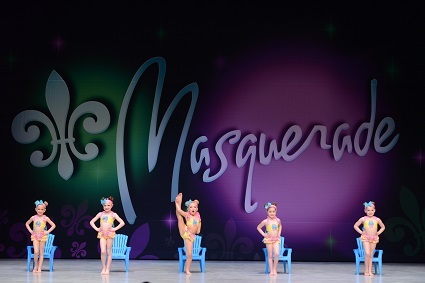 Each dancer will begin camp by getting their face painted then moving into class to work on flexibility and technique. Each dancer will learn two routines to perform in front of parents and friends, June 20th at 11:00am. Snacks and crafts will be provided each day. An 80’s themed camp full of neon and gnarly fun! Camp will begin with face painting then moving into class to work on flexibility and technique. Each dancer will learn two routines to perform in front of parents and friends, July 11th at 11:00 a.m. Snacks and crafts will be provided each day. Click here for more information on High Pointe’s dance camps! Cost: A $49.00 deposit per camp attendee or payment in full is required at the time of registration. The balance is due by Monday, June 11. There are three camp options: The first is to start on Sunday (Full Overnight Camp, 7 days). The second option is to check in on Wednesday (Half Overnight Camp, 4 days). The third option is to choose specific days at a daily rate. CLICK HERE for all the details about Taekwondo Camp. About the Improv Camp: The Second City Training Center’s Summer Improv Camps are returning to Walton Arts Center this summer. Early Bird registration for the camps is now open at waltonartscenter.org. 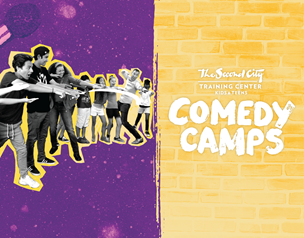 Campers will exercise their sense of play through improv games and activities that are the foundation of The Second City’s unique brand of comedy. At the end of the two weeks, campers will present a show for their family and friends to showcase their new skills. Two adult intensive training programs also are available this summer at Walton Arts Center. Improv 1 will be 6 pm July 15-19. This is a crash course in the philosophies and methods that The Second City uses to find, explore and create material. It is a detailed look at the principles and processes of improv for beginners. Sketch Writing 1 will be 6 pm July 22-26. This is an introduction to sketch comedy techniques including characterization, comic premise and story structure. Registration for either class is $300. Age groups served: A two-week day camp for students between the ages of 11 and 18 is available. 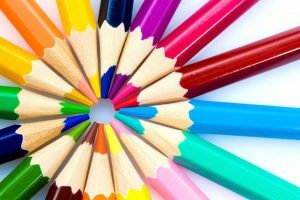 Camps will be weekdays from 10 am until 3:30 pm July 15-26 at Walton Arts Center. See above for adult improv class details. Cost: Early bird registration is $785 until April 14, then prices increase to $850. Registration fees do not include lodging or food. Click here for more information about WAC’s Second City comedy camps. About Rick’s Summer Camps: Campers will learn basic decorating techniques, take a behind-the-scenes tour, and will be able to take home all of their goodies to share. Plus, each camper will get a T-shirt. Each two-day session is $75 plus tax. For more information, call 479-442-2166 Ext. 1, email celebration@ricksbakery.com or CLICK HERE to visit their website with additional details. 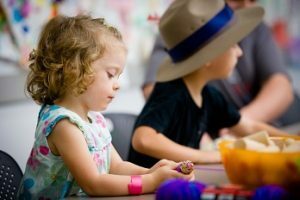 About Amazeum’s summer camps: Find the perfect camp for your curious, creative child at the Scott Family Amazeum. Amazeum camps offer unique, hands-on, integrated science, technology, engineering, art and math (STEAM) experiences that combine fun and learning. This year, the Amazeum partners with Crystal Bridges Museum of American Art, the University of Arkansas Fay Jones School of Architecture and Design, NERDIES™, and the Jones Center to make incredible camp experiences available for children across Northwest Arkansas. For additional information, registration, and FAQs visit amazeum.org or call Ashlee Bailey at 479.696.9280 ext. 211. Camp dates, times and ages: Week-long camps start on June 10th and the latest available camp begins on July 29th. 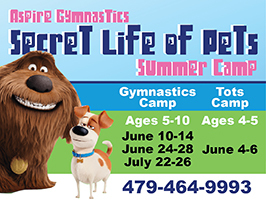 For a complete list of camp dates throughout the summer, themes, times and ages, click here for all the info on summer camps available at the Amazeum. 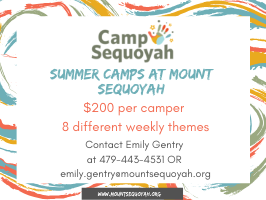 About our camps: Camp Sequoyah is a series of summer day camps hosted at historic Mount Sequoyah in Northwest Arkansas. Campers will participate in a variety of fun games, educational activities, field trips, swimming, and more. Each week of camp is themed. 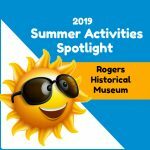 We offer everything from sports, to art and drama, to the great outdoors, and more, and we pack as much summer fun as we can into every minute. Kids will experience a loving and caring environment while being challenged to be the best person they can be in their family, with their friends, and for their community. Multi-camp discounts are available. Campers will be doing activities centered around the great outdoors! Hiking, capture the flag, nature crafts, natural science activities, and more are all included in this week of camp. We are also planning to teach campers how to be more conscious of their environment – reduce, reuse, recycle, respect, and react. This camp is focused on keeping campers active and moving while playing some of their favorite sports and (hopefully) trying some new ones! Campers will also have the opportunity to learn more about leadership and how they can be a leader even if they are only a kid. Music, art, drama, and dance are all things that campers will get to experience at Create Camp. We will do everything from painting to drawing to working on a short performance for parents at the end of the week. The focus for campers this week will be courage and how to stand up for yourself and what you believe in. This beginner tennis camp is designed to introduce players to the game of tennis. Campers will play tennis related games and do drills to help learn concepts about the sport. They will also play non-tennis related games to have fun and keep them moving and active. Lessons on sportsmanship and fairness will be the focus for the week. New theme for 2019! This session of camp is all about “Uncovering Jesus.” Campers will get to write in invisible ink, try to break codes and solve puzzles, and other spy/detective themed activities all while learning about how much God loves and cares for them. New theme for 2019! This camp will focus on teaching kids about food and film. Campers will get to prepare and try new foods, learn to set a table for guests, and safety in the kitchen. They will also get to watch movies, try their hand at animation and storytelling, and more. An additional focus for the week will be respect. This camp is centered on science and technology. Campers will get to experience robotics, natural sciences, chemistry, and activities about the weather. They will also be challenged to think critically and solve problems be participating in some experiment challenges. Campers will also be learning about honor and integrity this week. 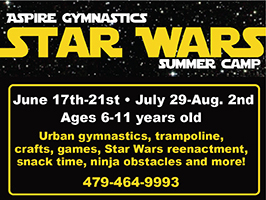 Epic Camp is our end of summer fun camp! We do our best to fit in as many fun summer activities as we can into the last week of summer. We will keep campers moving and active, and plan to end the week with a carnival of games and prizes. Campers will also be learning about some dynamic duos and what these famous pairs can teach us about friendship. About our camps: Unmask your child’s creativity this summer in the all-new Camp Invention® program, Supercharged™, where children build 21st-century skills and transform their wild imaginations into epic creations. Campers in grades K-6 will code and program futuristic robots, explore radio frequencies and unearth ancient fossils. Local educators will lead these innovative, hands-on STEM activities that build collaboration and creative problem-solving skills. Visit www.invent.org/camp or call 800-968-4332 to register. Use promo code INNOVATE25L to save $25 (expires 3/22) or PLAY15LISTING to save $15 (expires 5/10). Cost: $230 Use promo code INNOVATE25L to save $25 (expires 3/22) or PLAY15LISTING to save $15 (expires 5/10). 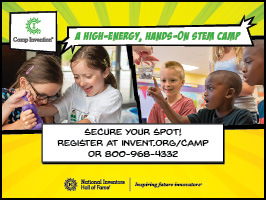 Click here to visit the Camp Invention website for more info. About our camp: Each year we have had a ton of fun playing all of our activities and hearing from several awesome guest speakers. While the kids are here they will be learning about various animals, outdoor survival tips, and the value of teamwork. We will also have special guest speakers come in throughout the week from park rangers, exotic animal experts, one of our local K9 units under Officer Chris Krodell, and more! 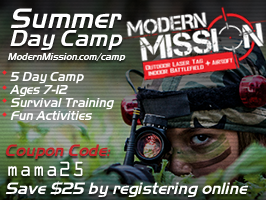 There will be plenty of time for fun with Airsoft, Archery Games, and Indoor/ Outdoor Battlefields. The camp will be a 5 day event that will run from 8:00am-12:00pm. You will be able to drop off your kids starting at 7:30am. When you make a reservation for your child, they will be registered for the entire week. This camp is for ages 7-12. 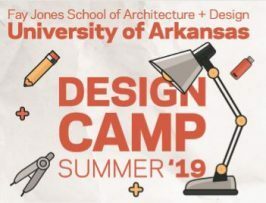 About our camps: Design Camp offers the chance to learn about the design professions through hands-on projects, tours, presentations and discussions led by architecture, landscape architecture and interior design faculty of the Fay Jones School. Students have the opportunity to work closely with faculty and collaborate with peers in a fun and creative studio environment as they explore the design process. Camps meet on location daily, from 9 a.m. to 4 p.m. (except Bentonville, which runs from 9 a.m. to 3 p.m.). Supplies and lunches will be provided at most locations. Lunch will not be provided in Bentonville. About our camps: Pre-K children to sixth graders are welcome to join WILD’s School Age Summer Camp. 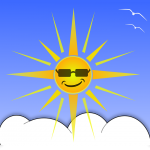 Summer Camp is a full week of fun, from 7:00am – 6:00pm Monday through Friday. The day is packed with activities and social adventures that make worthwhile memories. Children make friends, develop their talents, and learn new things while on school break. The program is week to week, so you don’t pay for weeks your child won’t be attending. Camp Dates: May 28-August 9-enrollment is on a week to week basis. Mini Daily Camps included on site. CLICK HERE for more information about WILD’s summer camps. About our camps: Trike Theatre is on a mission to transform the lives of young people through exceptional theatre experiences, and summer camps are a big part of that mission. Trike offers a wide variety of camps and serves kids of all ages with camps designed to fit specific age ranges. Some camps require an audition first, and those auditions begin in April! Be sure to read the description of each camp and make note of any audition dates that may apply. 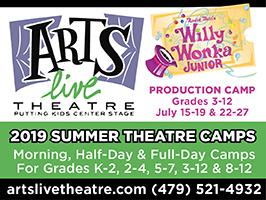 CLICK HERE for more information about Trike Theatre summer camps. About our camps: Week-long summer camps are available from June 3, 2019 to July 26, 2019. Lunch and snacks are provided by The New School. 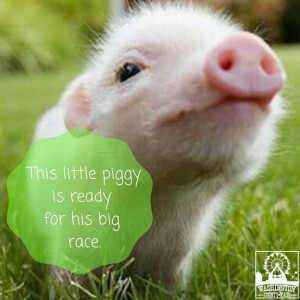 There are more than 60 camp themes to choose from, so it’s easy to find a theme your child will love. We have themes like Disney and Dinosaurs for the little kids and Robotics and Movie Making for the big kids. Camps are taught by The New School faculty and community professionals. Check out the listings for weekly camp themes to pick your favorite theme and time. Ages served: Early Childhood; Kindergarten; 1st-3rd grades; 4th-8th grades. Campers will be grouped with kids in the grade they have just completed. Camp themes and weekly dates: Click HERE to look through the extensive options for different camp dates and more than 60 camp themes available at The New School Summer Camp. About Girls Who Code camp: Girls Who Code is offering a free Summer Immersion Program this year. The ​7-week introductory computer science ​program is ​for​ ​10th-11th grade girls going into their junior or senior year of high school. Girls will ​learn​ about ​computer science,​ ​gain​ ​exposure​ ​to​ ​tech​ ​jobs,​ ​and​ ​join​ ​a​ sisterhood​ ​of​ ​girls​ ​who​ ​are​ ​using​ ​computer​ ​science​ ​to​ ​become​ ​change-makers. Walmart will be sponsoring a program site in Bentonville and P&G will be sponsoring a site in Fayetteville. • CAREERS — They’ll meet inspiring female role models in the field and get an inside look at the tech world through guest speakers, workshops, fun field trips and more. Their summer will be spent in classrooms hosted at the world’s top companies. • SKILLS AND IMPACT — They’ll learn to code through hands on real-world projects in art and storytelling, robotics, video games, websites, apps, and more. By the end of the summer, they’ll also create a final project that solves a real-world problem they care about — combining their new coding skills with their passions to change the world. • SISTERHOOD — As essential members of our Girls Who Code sisterhood, they’ll learn in a supportive, all-female environment and make lifelong friendships that encourage them to be brave, take risks, and stand up for what matters to them. Camp dates: Program dates are June 10-July 26, 2019. 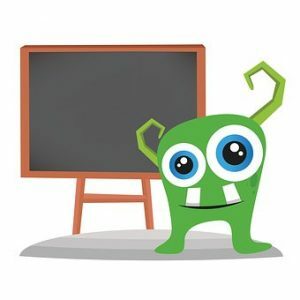 About our camps: STEAM-based education for children is a major focus of our school systems, educators, parents, and local and federal government officials. Many of our local schools, however, don’t have the expertise or equipment to introduce children to STEAM concepts in a fun and interactive manner. NERDIES™ provides that expertise and equipment and inspires children to pursue careers in STEAM fields through educational play and hands-on learning. Through our summer camp sessions, your young ones learn both hard and soft skills. They learn design concepts, industry standard animation & game development software, coding languages, and so much more. They also experience guided exposure to the creative process where they will be challenged to ask meaningful questions and apply what they have learned. Through thoughtful dialogue, regular collaboration, and active listening, NERDIES™ campers learn how to work as a team, how to communicate effectively, and how to activate the creative part of their brain. 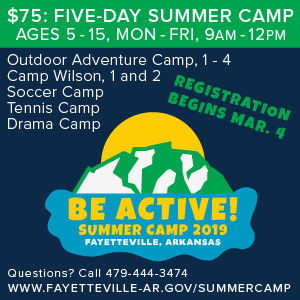 Location of camps: Camps are conducted at a variety of locations, depending on the camp, including: Crystal Bridges, The New School, The Center for Nonprofits, Old High Middle School, The Jones Center, The Arkansas Arts Academy and The Teen Action & Support Center. Cost: Camp tuition varies. **Use the promo code “Motherlode” and get $25 off your purchase. Click here to visit the Nerdies website, Facebook page or Instagram feed. Camp hours: 8:30 to noon for regular campers; Tots Camp runs from 9 a.m. to 11:30 a.m.
Ages served: 4 to 11 (depending on the camp theme) Tots camp is for ages 4 or 5. 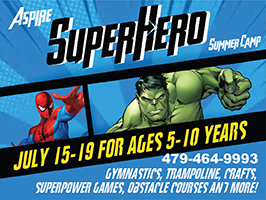 Click here for more information about Aspire summer camps. Cost: $129.99 per child, per week; OR $149.99 per child, per week (if you choose to include lunch for your child at 12 p.m.); Prices are subject to tax. 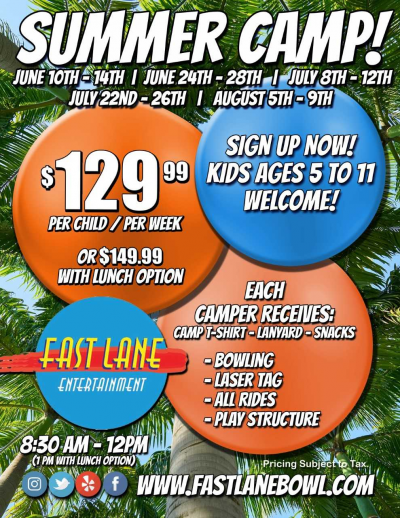 Click here for more information about Fast Lane Entertainment summer camps. About Teen Nite: Once your kids become teenagers, finding a wide variety of summer camps can be tough. So keep Teen Nite on your schedule because it’s wildly popular with this age group. 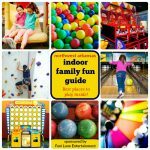 For a flat fee, kids ages 12 to 18 can hang out with friends at Fast Lane and enjoy bowling, laser tag, and all the rides. There will also be fun contests and prizes. Teen Nite happens on TUESDAY nights from May 28, 2019 to August 6, 2019. 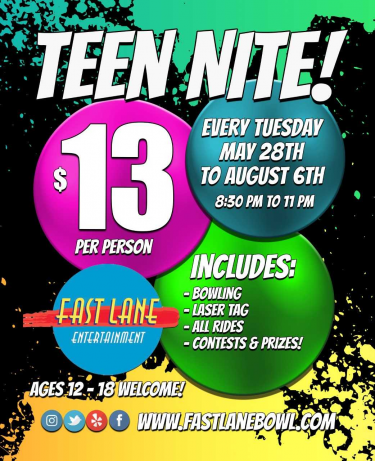 Teen Nite time: Tuesdays from 8:30 p.m. to 11 p.m.
Click here for more information about summer activities and events at Fast Lane Entertainment. 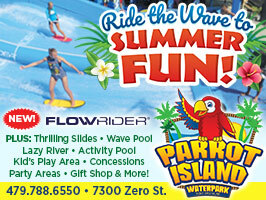 About the waterpark: Parrot Island Waterpark, open Memorial Day Weekend thru Labor Day Weekend, features the region’s only wave pool as well as the region’s only FlowRider surfing attraction (which is new this summer)! There are also four awesome twisting turning water slides, a relaxing lazy river, an activity pool and a themed children’s aquatic play area. The outdoor waterpark has over 370,000 gallons of aquatic fun and includes a variety of amenities, including party pavilion, cabana rentals, food and beverage concessions, 800 complimentary deck and lounge chairs, over 250 complimentary water tubes, expansive grass lawns for relaxing and much more, and is open Memorial Day weekend through Labor Day. Located at Ben Geren Park, residents and visitors can enjoy Parrot Island Waterpark along with miniature golf, go karts, playground equipment, outdoor picnic areas and pavilions, softball and soccer fields, tennis courts, a 1 ó mile fitness and circuit walking trail, two 18-hole disk golf courses, over eight miles of paved bike trails, 11 miles of mountain bike trails, and an outstanding 27-hole county golf course. Park hours: 9 a.m. to 7 p.m. 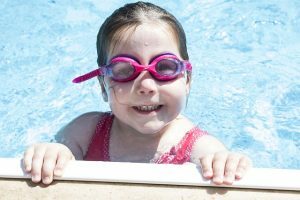 Cost of tickets: One day admission is $15 for people over 48 inches tall; $10 for people under 48 inches tall; Kids age 3 and under get in free; Non-swimmer ticket is $5; Senior discount and military discounts available; 2019 Season Passes start as low as $53. Click here for more pricing info. Birthday parties: Click here for info on having birthday parties at Parrot Island. Waterpark attractions: Click here for a list of waterpark attractions. Click here for more information about Parrot Island. Click here for more getaway ideas and links! Be sure to check back often, mamas! We’ll be adding more camps, activities and events as we head into Summer 2019!